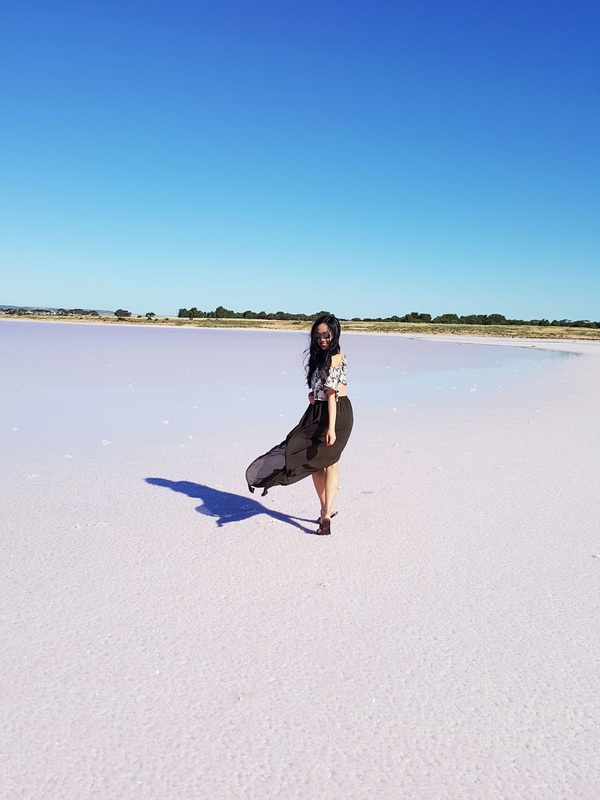 I first read about the existence of pink lakes in 2014 on Gary Pepper Girl. Still, I had to gasp when I saw it for myself. Lo and behold, a body of water in my favorite color. Almost unreal, yet there it was. I'd run in and bathe in its candy-colored glory but as they say, beauty is deceiving. 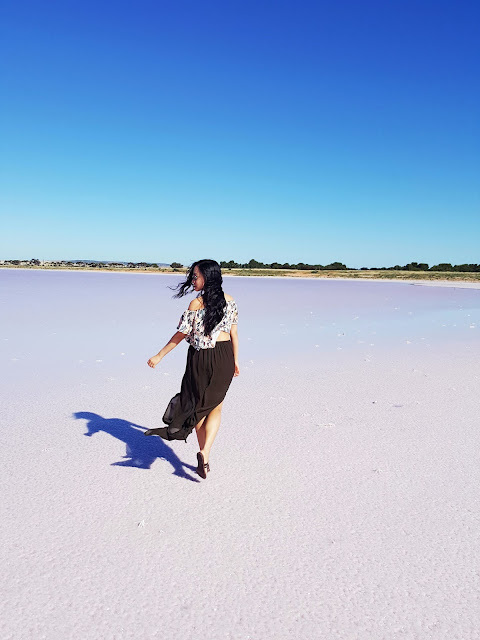 There are a few pink lakes in the world and to my delight, there is a pink lake in Lochiel - only an hour or less away from Moonta (or around 2 hours from Adelaide). According to Daily Mail Australia, these lakes get their colour from algae that produce carotenoids, which when given the right amount of salinity, temperature and light, accumulate beta carotene responsible for the red pigment. So no, the water is not ideal for swimming and definitely not for drinking. But if you do swim in it (as salt collectors do), at least protect your skin with shea butter first. When K and I got there, I thought, we should have prepared a picnic to eat in front of this gorgeous view! Approaching it though and you can smell a different aroma in the air. K thought it smelled like sulfur. Alas, nothing can live there. It was interesting to stare at the ground and at the water. I saw whatever weeds that was left - they were dying. On the surface, there were shiny, white crystal formations. I tread a little in the shallow waters and whatever water there was dried up quickly on my slippers and turned into extremely fine powder - salt, I presume (and I'm not an expert about nature here), finer than sand. Still, this salt lake, is incredibly beautiful. Just surreal. We simply typed, "Lake Bumbunga" on Google Maps and this is how we got to a single lane dirt road which led us around Lake Bumbunga but nowhere near a foot path. 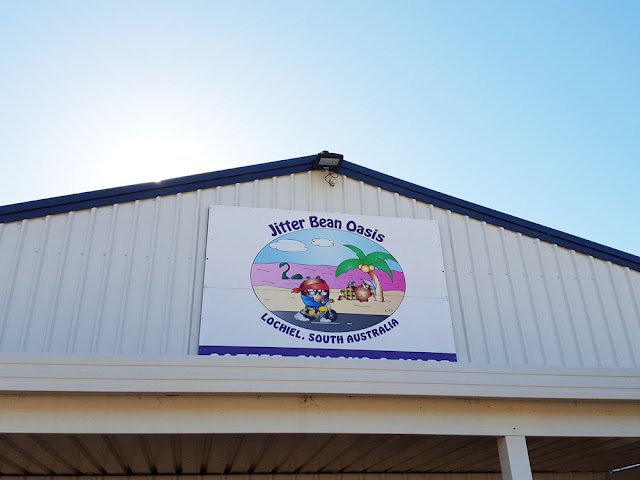 A better way to get there would be to simply look for and park near Jitter Bean Oasis and then walk towards the lake and you'll see the foot path. Unfortunately, it was past 5 PM on a weekday when we made our way to the cafe and it was just about to close. Too bad, the place looked and smelled like they had good food. The summer is the perfect time to go. We went past 4 PM so that it wasn't too hot. But then this caused us to miss a dining opportunity at Jitter Bean. The weather was beautiful though. The sun was bright and glared so much that I had to put sunglasses on or else I'd be squinting in all the photos. 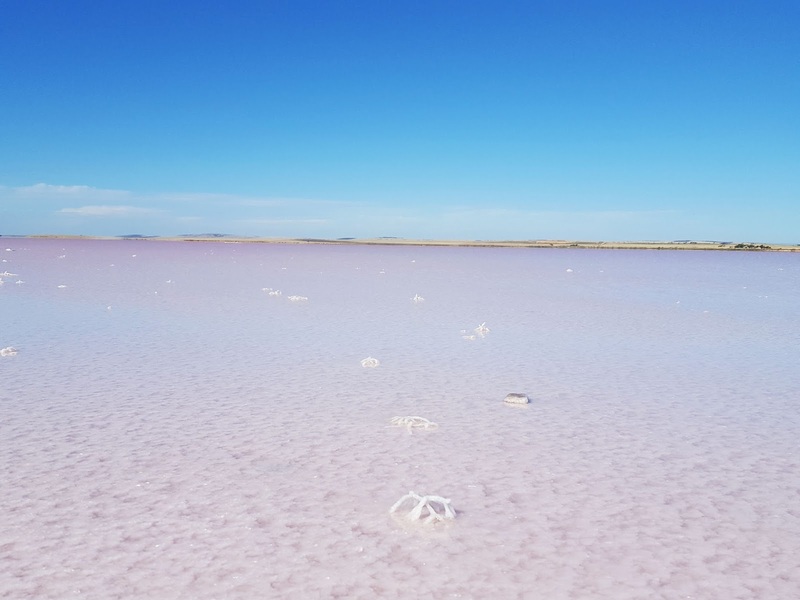 But remember that the salt lake's algae requires high temperatures to produce the pink color so the brighter the day, the pinker the lake. How amazing is the beauty of South Australia? Oh Lord, how wonderful are the works of Your hands. Oooh I only recently learned about this natural beauty and been itching to travel there. I've seen so many photos of this spot but never really seen its actual surroundings. It's interesting to see those crystallised weeds. I've never seen a pink lake before but from your pictures, It look breath taking. You look great as well! The lake looks amazing! You're so lucky to have been there. Awesome pictures, looks like an incredible place! Woow, this is amazing ! It's like a dreamy lake. Love your outfit too Makes me warmer. This beach looks gorgeous! I definitely want to to visit more parts of Australia. I've lived in Australia all my life let i haven't seen much of it. I'm a little obsessed with this pink lake!! Love your photos! Such an amazing location. I've heard about pink lakes and am can imagine how magical it actually is to be there. Beautiful photos! That lake is beautiful! I've always wanted to go to the pink lake! Such a gorgeous place and such a gorgeous outfit! Love the top especially! Omigod what an incredible place! I would love to see this someday! Such gorgeous photos. I cannot wait for spring so I can explore the gorgeous coastline here in North Carolina! Thanks so much for sharing. Wow! 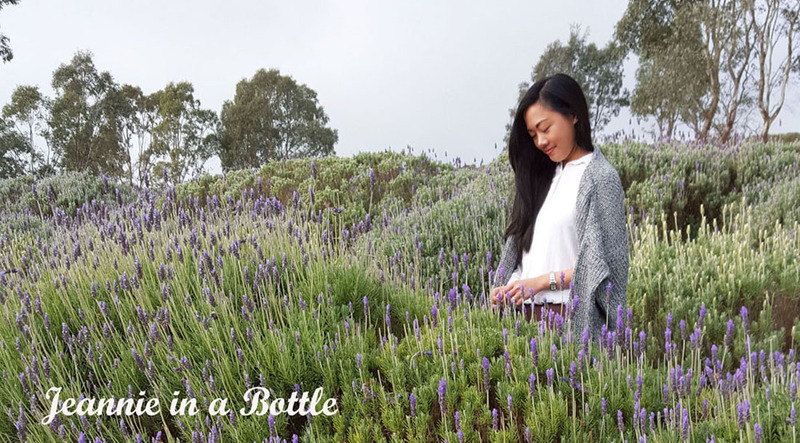 What a beautiful place and love your whole outfit! Thanks for your wonderful comment on Qing's Style. Hope to hear from you soon! Follow me on Instagram and Twitter and don't forget to enter on my GIVEAWAY! Anyway, I've following your blog, hope you would like to following me back. So good of you to be able to see it, I heard about it too and was intrigued. Thanks for sharing these photos and the tips. We used to drive past them all the time as kids, as I grew up in Adelaide and made fun of the smell. I really did not think they were all that abnormal or exciting, as we had no idea they were not common. They are pretty of course, but that smell is terrible. Haha. You got some stunning photos! 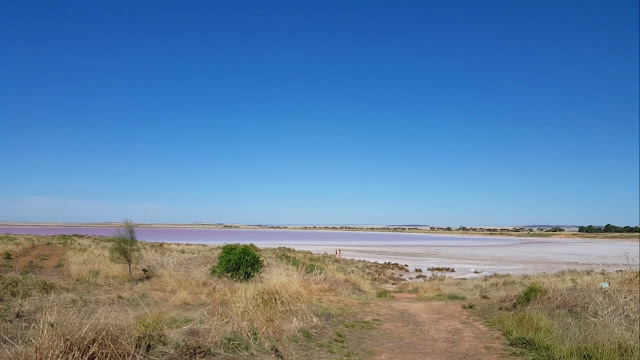 We have a pink lake here in Western Australia too. My parents would always take me there for the school holidays. You would think it would be good for your skin to swim in those lakes though, since people are always using bath salts & stuff for skincare & beauty. Thanks for sharing some beautiful photos! That really looks beautiful. I dont think we have something similar in Germany. The colors are so gorgeous! But like, amazing. I never even knew that G-d had decided to invent a pink lake. G-d is the most amazing artist ever. like really. 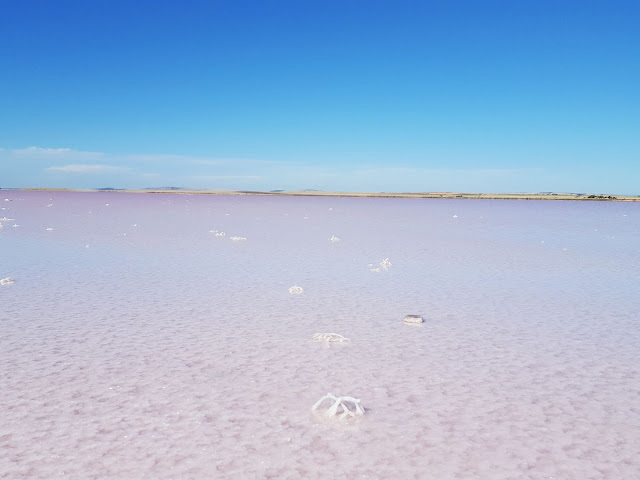 I've been to the dead sea in Israel, which is its own wonder, but I never realized that there were other salt bodies of water that had their won unique color. and of all colors-- Pink! definitely more than surreal!!! such a gorgeous place<3 need to visit! South Australia is amazing! I hope I will visit on day! 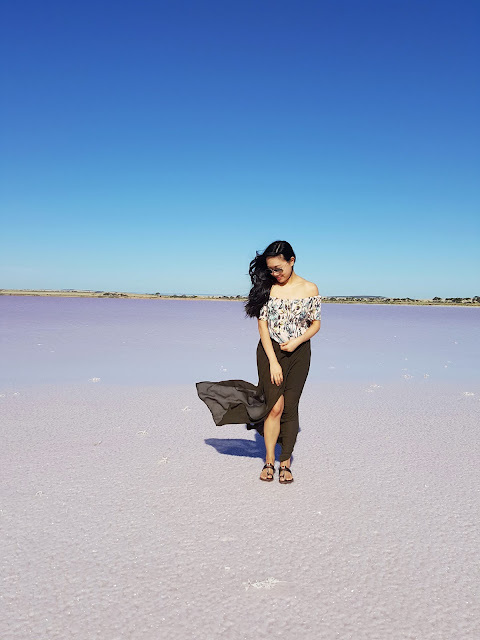 Really pretty ootd, and the pink lake looks stunning ! Okay, Australia really does have it all. These pictures are beautiful! 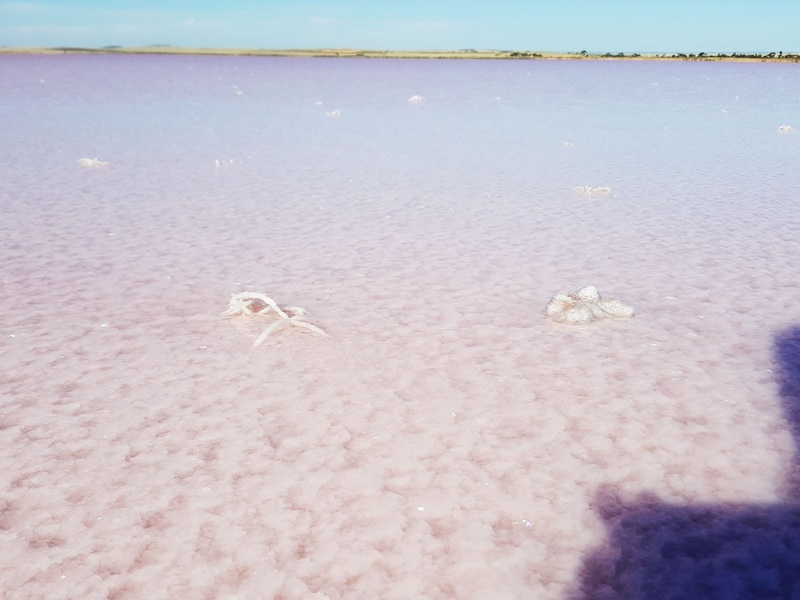 Earlier, I've seen on Pinterest that there's an actual pink lake in Australia! I believe this is the one! How timely. :) This is such an incredible place! I'd love to see it in person too. Your photos are wonderful! Hope to hear from you soon! Amazing pics, and you look gorgeous! What an incredibly beautiful place, I would love to go there too one day! Gorgeous photos girl! Oh wow that's amazing....I would love to see that. Interesting post! Pretty beach. There's a pink one in Bahamas that I want to return to. They're so pretty! I have never worn shea butter before swimming in the ocean but that's good to know. :) Have a great week! Wow I have heard about pink lakes before and always wanted to go to one. Oh wow never heard of this. Nature sure is beautiful and God is amazing. I would love to visit there. You look lovely and pretty. What a beautiful place..would love to go there...great shots!! This is a really an amazing place to visit and enjoy. 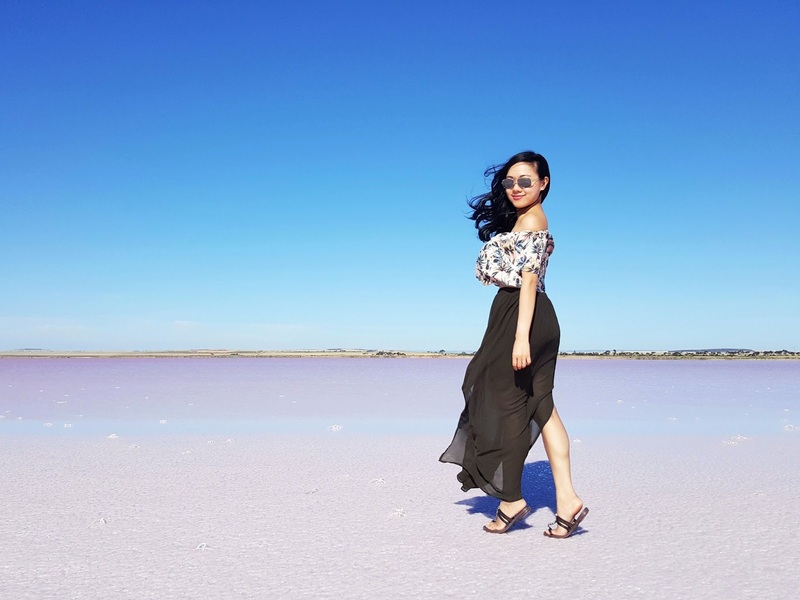 I can't stop myself from visit the pink lake. The place is absolutely beautiful. I've heard f pink lake before but never visited, I would really love too. I also didn't know the chemistry behind it, thank you for sharing. Wow its so beautiful there. You look lovely! Gosh, that lake looks coming from a fairytale!! It's wonderful and I agree with you... nature knows how to suprise us! Perfect place both for a shooting and a leisure day! Wow! I love Austraila. I love to go on pink lake in plain sarees. There I want to spend my whole life in bollywood style sarees.